Shan stood in after Darren Moore was sacked on 9 March with the club fourth in the Championship. Since taking temporary charge Shan has led the Baggies to successive wins against Swansea City and Brentford. The Baggies have been linked with former Fulham boss Slavisa Jokanovic, ex-Huddersfield manager David Wagner as well as Preston's Alex Neil. But the Lancashire club seem determined to keep Scot Neil, who has taken them to within a point of the play-offs, so chief executive Mark Jenkins is considering leaving Shan in charge. 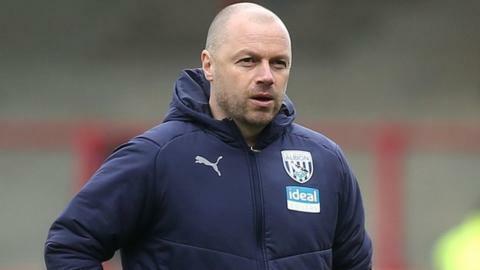 If that situation unfolds, West Brom would try to bring in an experienced coach to work alongside Shan, who was only given a first-team role when Moore was appointed as caretaker boss last April following the sacking of Alan Pardew. Former West Brom player Michael Appleton has the status to assist Shan, although the 43-year-old has not been approached and it is understood he is not anticipating one. West Brom are fourth in the Championship with eight games of the season remaining.